The Jyotish or Astrology course available at AIFAS contains three papers, each focusing on different yet similar topics. You can learn this course to get to know the dynamics of one of the oldest and powerful science. 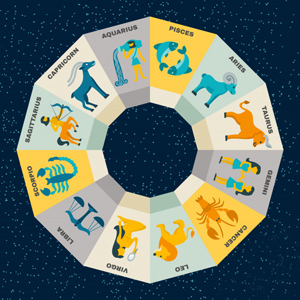 You can learn interesting things about how planets influence our life and what good are the kundli making and Horoscope matching. The Astrology course near me focusses on what’s great about the neighbourhood how can the planets be held responsible for their impact on us. Why choose Astrology Courses at Future Point? We are the leaders in Astrology solutions in the market and house a panel of expert astrologers. The courses provided at AIFAS comes from well-renowned faculty of astrologers and teachers who are not just masters, but they are legends in their fields. The certificate of completion is recognised by all institutions and is amongst their most affluential ones. The course would span for 6 months, however depending on the chapter that you enrol yourself into, your course duration might change. If the frequency of the classes changes, the course duration might also get affected, so if that’s the case, you can directly call at 011-40541040 or email us at mail@futurepointindia.com. The last two classes of the batch are earmarked for examination and tests for the astrology course. For enrolling yourself in the Level 1 course of Astrology, Jyotish Ratna, you do not need any pre-requisites other than a passing certificate of 10+2. The level 1 would only require your inclination towards the field of Astrology and a knack to learn Astrology online. For more information regarding this, you can reach us at 011-40541040 or mail us at mail@futurepointindia.com. The Fee for Jyotish Ratna course is Rs. 8000 (400 USD). Covers solar system, stars, planets, satellites, earth, equator, Latitude-Longitude, zonal time Longitude, Ecliptic, Equatorial circle. The Solar and Lunar eclipses, Declinations of Sun, changes of seasons, Distribution of Zodiac by signs and constellations, Rahu-Ketu, and Point of Equinox. Calculation of Time (Standard, Local and Greenwich), Sidereal time, Sunrise and Sunset, Duration of day and night, 12 houses of the horoscope (mid and starting points of houses) Planetary degrees, The Retrograde and Direct motions of planets, and Casting of Horoscopes- Natal and chalit. Calculation of Vimsottari Dasha and Antardasha. Along with Oral Casting of Horoscopes. Calculation of Lagna, Hora, Dreshkan, Chaturthamsha, Saptamsha, Navamsha, Dashmamsha, Dwadashmsha, Sodshamsha, Vimshamsha, Chaturvishamsha, Saptvimshamsha, Trimshamsha, Khavedamsha, Akshvedamsha, Shastiamsha. Characteristics of planets and their friends and enemies. Understanding and learning Exalted and Debilitated signs of planets and degrees. Significators and aspects of planets. Characteristics of signs, their nature, elements, even and odd signs, Male, Female, Dwipad, Chatushpad,and mixed signs, earthy, airy, fiery, and watery signs. Learning the 12 houses in a natal chart and their significators.Yogas and their combinations. The benefit of using divisional charts. Lagna, Hora, Dreshkan, Saptamsha, Navamsha, Dashmamsha, Dwadashmsha, Trimshamsha. Combinations formed by Sun and Moon, Budhaditya yog, Gajkesari, Chandra, Mangal, Amala yog, Panchmahapurush yogas, Wealth and Rajyogas, Kaal Sarpa Yoga, Nabhas Yoga & other similar yogas. Note: The modules 1 to 4 will be covered in Paper 1, 5 to 9 in Paper 2 and Module 10 in Paper 3.